Home » Bronx Backpacks In NYC! 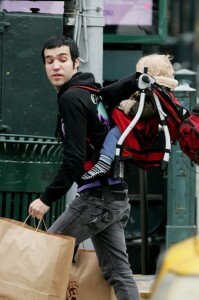 Pete Wentz was spotted out shopping in NYC yesterday with Bronx strapped securely on his back. 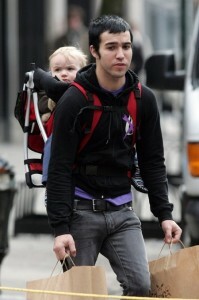 The Fall Out Boy is on daddy duty whilst wife, Ashlee Simpson-Wentz, prepares for her play, Chicago. Pete carries Bronx in Chicco’s SmartSupport Backpack.